F&J Interiors specialise in all types of painting and decorating, including all types of wall covering, for commercial, industrial and residential contracts. We are located in Sidcup, which gives us not only direct access to central London and Kent via the A2/M2, but also quick and easy routes via the M25 to all home counties. Bringing both dedication and expertise to every project, if the job requires we will work out of hours to meet our client's needs. 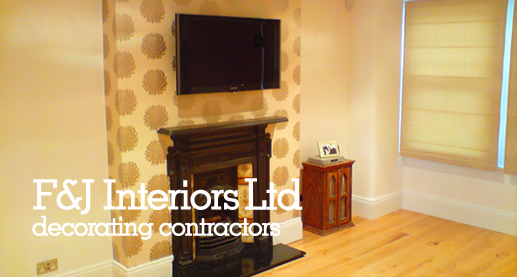 "F&J Interiors always ensure each project is finished to the highest standard, and on time"